Pokemon Black Version 2 (AKA ポケットモンスター ブラック ２ Pocket Monsters Black 2 in Japan) is an adventure RPG developed by Game Freak and distributed by Nintendo for the Nintendo DS (NDS) handheld console in 2012 along with White Version 2. 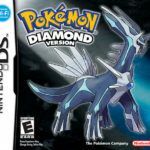 It is a direct sequel to Pokemon Black Version. In the game, you journey throughout the Unova region, explore new areas, capture new monsters, and discover never before seen gyms. It has enough repurposed content to make you reminisce about your experience with previous Pokemon games online and new features to entertain you for months on end. Upon choosing a starter creature, the player begins his or her journey on the western side of Unova. The starter monsters in Pokemon Black Version 2 are Oshawott, a water type pocket monster, Tepig, a fire type pokemon, and Snivy, a grass species. Like its predecessors, Pokemon Black version 2 offers an intriguing plot. Your character has to travel around the region, collect monsters, finish quests, battle gym leaders to collect badges, challenge the elite four, and beat them to win the game. Also, the plot of Pokemon Black Version 2 features Team Plasma, the main antagonist in the game. You have to beat them on numerous occasions to save creatures and stop their vile deeds. Being the sequel of Black Version, Black Version 2 is set two years after the events of the previous game. The events at the beginning take place on the western side of the region. The new locations hold new Pokémon that are unavailable in earlier games. All in all, there are 300 species in the game. Pokemon Black Version 2 is a role-playing video game. You have to collect monsters and train and evolve them so that you can battle fellow trainers and gym leaders to unlock routes and quests and acquire badges. Once you have acquired all eight gym badges and have reached the end of victory road, you can enter the Pokemon League and battle with the elite four. In terms of graphics, Black Version 2 features advanced graphics that are similar to Pokemon HeartGold and SoulSilver. Its gameplay and graphics are way more advanced than its previous counterparts. 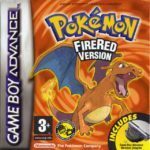 It’s a 2D adventure game, so you can imagine how different it is to Pokemon Red, Emerald, and Silver. The sound effects of DS games are not that great, but being a retro video game, Pokemon Black Version 2 has the most decent sound among all of the DS games. Its sound effects and background music are more refined and wholesome as compared to other DS games. You can sometimes hear static, but other than that, its sounds and BGMs upgrade your journey. The game features new legendary monsters: white kyurem and black kyurem. Training and battling are as enjoyable as always. You can catch creatures from other regions: Kanto and Johto. These include Skitty, Growlithe, and Bagon as well as other legendary Pokémon like Latios, Latias, and Mesprit. Black 2 has numerous shiny species like shiny Luxray. 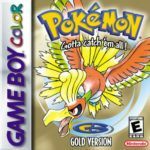 Many players have come to love Pokemon Heartgold, SoulSilver, White, and Black. As a result, Game Freak created Pokemon Black Version 2. This game is also well received by fans of the franchise worldwide since it has nearly everything that all of its predecessors have and offers new exciting features. 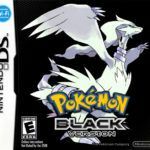 Pokemon Black Version 2 game has only been ported to the NDS.